Ideal for Men's & Boy's. 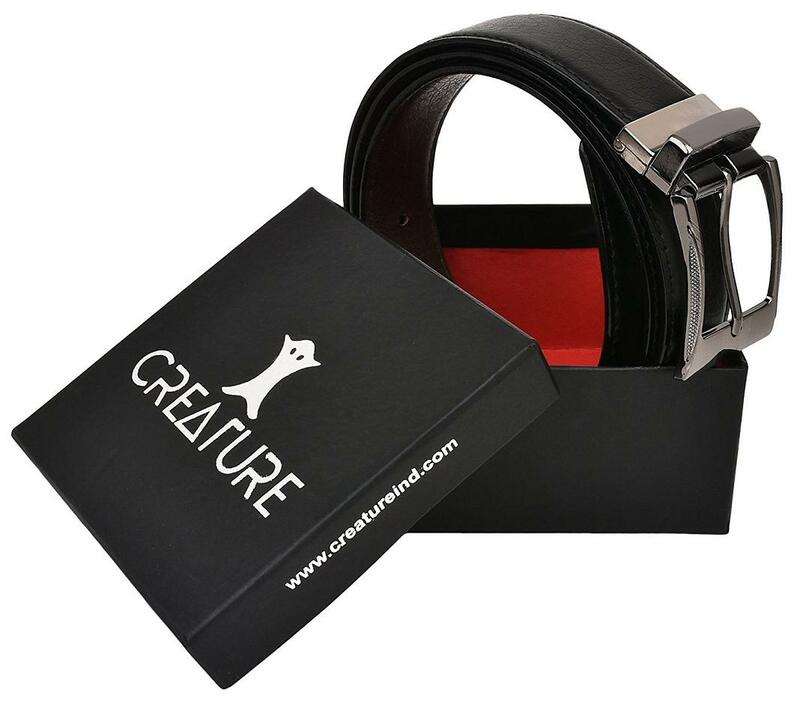 Represent your look by wearing this black belt brought to you by Creature. It has been made of a superior quality material that lends it a smart finish, while the branding on the loop enhances its design. In addition, it also comes with a buckle closure, which ensures a proper fit. Walk in style by wearing this belt, which is an ideal pick for any fashion forward man. Team it with a varied range of formal wears and look impressive. The leather accessories collection has been made out of top grain leather which has been handcrafted into great products by highly skilled artisans. The blend of form and function, top shelf materials, the softest natural leathers, the technology and the sheer utility of Creature leather accessories have been instrumental in garnering rave reviews from consumers across the world.This is a free size belt and can be adjusted as per your requirement by cutting the extra length by removing the buckle. It goes well with Formal Pants, Khakhis, Chinos and Denims. The texture Design makes it fashionable. The Buckle is sturdy and stylish. The product comes with 6 months warranty against manufacturing defects. In order to claim warranty on your CREATURE' product kindly write to us creatureretail@gmail.com.